Agatha Christie: Why Didn’t They Ask Evans? Richmal Crompton: Mrs Frensham Describes A Circle. 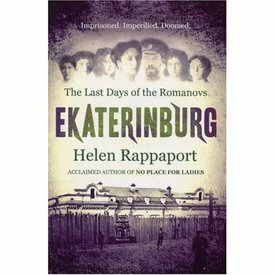 The main reason I watched the dire Channel 4 documentary on the Romanovs last week was because I am fascinated by them, have been for years, and also was embarking on a read of this new book by Helen Rappaport. As you will know, if you have read my post, I thought the programme was awful, tacky and trite and if you want to know more about this tragic family and their final days, then please read this marvellous book and consign Channel 4 to the dustbin. I have always found history fascinating, it was one of my favourite subjects at school, even though I went to a convent and the nun who was teaching us about Henry VIII and the dissolution of the monasteries was a trifle biased and regarded Anne Boleyn as the devil incarnate. No matter, it still intrigued me. Whether it was the Tudors, Stuarts, the Georgians, whatever, I was always wanting to find out more about the personalities involved in the vast tapestry of history that I was trying to get hold of. History is all about people - the Repeal of the Corn Laws must be one of the most boring things I ever sat through in class, still cannot remember much about it, but what did Robert Peel really think? Did he go home at night and kick the cat? We know what Queen Victoria thinks about everything because heaven knows she wrote enough diaries and letters, for which thank heaven fasting, and it is not too hard to find out Peel's thoughts either from biographies and diaries. But, I still want to know - did he kick the cat? My apologies for this witter but the fascinating thing about Nicholas and Alexandra and the Grand Duchesses, and Alexi and Rasputin and all the political manoeuvrings and background, is that they seem to be so essentially ordinary. Just people with their tempers, and irritations and sorrows like everyone else. This is what focuses my interest in history. Normal people caught up in a maelstrom of events. Shortly after his abdication when the family are moved away from the capital, Nicholas goes out and chops logs, he looks after the garden, he is happier and healthier than he has been in ages. 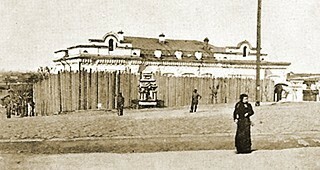 Giving up the burden of being the Tsar came as a relief to him. The family lived a simple life within the grandeur of their homes, sleeping on camp beds, cold baths in the morning, no luxury. However, this self contained, restricted life was both their strength and their weakness. Alexandra focused in on Alexi and having to watch him suffer unable to help, Nicholas coping with his wife's mental and physical health which was poor, the Grand Duchesses being all in all to each other and providing mutual support to themselves and their parents. This helped when they were imprisoned as they were such a tight unit, but also made them innocents, not knowing anything at all about real life or understanding of the events surrounding them. It is hard to imagine how stultifying and boring the restrictive life the Romanovs led in the last few months must have been. They all lived in five rooms, the windows were painted in so that they could not see out, their walks in the gardens were restricted, the sense of claustrophobia permeates every page and gave me, who hates being shut in, the shivers. Nicholas and Alexandra seem almost to have accepted their fate, the underlying Russian melancholy and resignation coming to the fore, but what must it have been like for the children and, particularly, the daughters who had all reached and passed puberty and were enclosed in this stifling existence? The frustration both mental and physical must have been dreadful. It is these family details and fleshing out of their personalities which make this book such a heartbreaking read. I will not dwell on details of the execution of the Romanovs, as we all know how shocking it was, but I do urge you to read this wonderful book which gives a real sense of how it must have been in those final months in the House of Special Purpose. I became totally caught up in their daily lives and almost did not want to read the chapter in which their death was described, almost as if by not reading it, it would not happen. On the morning of their last day, women were brought in to wash the floors, as they had done on a regular basis. This was to reassure the family that all was as normal and the daily routine continued. One of these ladies was Evdokiya Semenova, who was thrilled to have a chance to see the Imperial family to whom she was devoted. The experience greatly moved her and she left 'with a love of the family so profound she said, that it would not leave her until the day she died. They were not the divine beings she had always supposed them to be: "they were not gods, they were actually ordinary people like us, simple mortals". Helen Rappaport has written a warm, loving book, if a historical biography can be so described, about this tragic family and I cannot recommend it too highly. It moved me to tears.